WWW.THEGARAGESHEFFORD.CO.UK is a site operated by THE GARAGE SHEFFORD LIMITED. (“We”). We are registered in England and Wales under company number 10285677 and have our registered office at The Quadrant Centre, Limes Road, Weybridge, Surrey, United Kingdom, KT13 8DH. Our main trading address is 2B St. Francis Way, Shefford, SG17 5DZ . Our VAT number is 246 386 091. 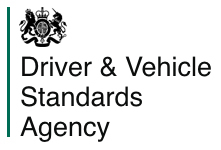 We are regulated by Retail Motor Industry Federation and the Vehicle and Operator Services Agency.